Here’s what’s important: it doesn’t matter if you have a diagnosis for your aging parent or not. It matters how your aging parent functions. It matters how you deal with what you see. Dementia and Alzheimer’s are becoming increasingly common, but even if we are beginning to become more and more aware of how to spot them, it doesn’t make it any easier. Many a reader will be familiar with the terrible uncertainty and concern over their elderly parent’s thinking. Fortunately, Carolyn Rosenblatt of Forbes has more advice to give in her recent article. Among the many dangers to keep in mind when an elderly loved one starts “slipping” is that they may begin “hiding” it. For one thing, it is not something with which any senior looks forward to acknowledging, even if they are aware of some telltale symptoms. It is human nature. We all compensate or distract when there is something to hide, both from ourselves and from others. But when something like Alzheimer’s is at stake, it can be all the more difficult to get past, and it is harmful to hide. Indeed, since there is no actual test for dementia or Alzheimer’s, it is possible that a doctor will be unable to diagnose those conditions. It is important, therefore, to observe how your loved one functions. Keep a keen eye on them and know what you are seeing, for their own sake. The original article has more advice and anecdotes to offer, but Ms. Rosenblatt sums up the steps in four points. As soon as you begin to worry you must, first, persuade your loved one to visit a doctor, and a specialist if possible, to detect it early. Second, you must secure their estate planning documents while they have legal capacity to know and understand what they are doing. Third, you must secure proper care for them. Fourth and last, you have to discuss the circumstances openly with all family members, so all may be aware of the circumstances and can work together to protect your loved one. Good estate planning should take into consideration the healthcare and power of attorney documents needed to insure a smoother transition for proper care in this type of situation. 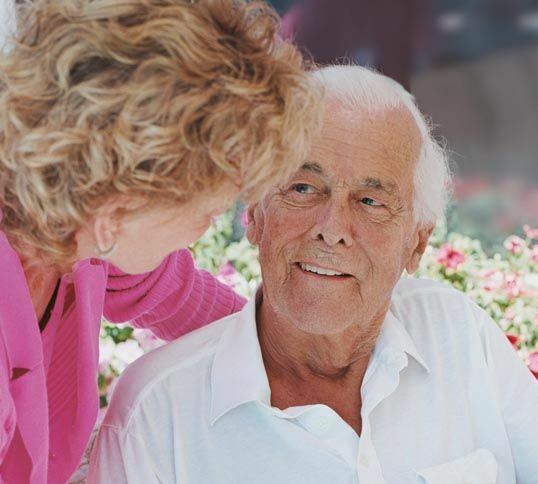 As articles, like this one in Forbes, raise our awareness of the growing painfulness of dementia and Alzheimer’s, you or your loved one may want to update your existing plan or design a new plan. We can help. Our office is available to take your call to schedule an appointment. The fundamentals are the same across all sizes of estates. A recent post by my estate planning colleague, Scott Makuakane, who practices in Hawaii reminded me once again that it is important to review the basics. Below is Scott’s blog posting on the fundamentals. I think you will find them a brief, but worthwhile, read. No one enjoys a conversation about death. And, with the estate tax exemption now set at $5 million for an individual and $10 million for a couple, many people may believe they have no reason to consult an attorney about their estate planning. But avoiding the topic of estate planning can mean unnecessary expense, confusion and conflict. SmartBusiness recently highlighted the fundamentals of a “well-thought-out estate plan,” with topics that everyone should consider – whether prince or pauper. Why do you need an estate plan? A comprehensive estate plan ensures that your estate will distributed according to your wishes, provides protection for yourself in the event of your own disability, and allows you to plan for minor children, pets, and charitable causes. You can also make sure that the assets you leave behind will be there for your intended beneficiaries - and not their creditors or ex-spouses. Can I write my own will? You certainly can, and there are many online sites to help you do so! However, remember that you get what you pay for. Improperly drafted or last-minute, hand-written wills frequently are contested and invalidated in court. If you don’t know what you’re doing, the outcome could be much different than what you expect. What should every estate plan have? SmartBusiness recommends two powers of attorney and a living will. That's not a bad start, but I would expand the list to include a will, powers of attorney for financial affairs and for health care, and an authorization to your physician to share your health-care information with your health-care agent. What about trusts? Many people choose to create trusts, not only to reduce estate taxes, but also to help their heirs avoid probate. Trusts also can help shield assets from loss to due to unforeseen circumstances, such as the bankruptcy, divorce, or lawsuits of your heirs. What mistakes do people tend to make in estate planning? The writer points out two common mistakes: failure to plan for their personal effects, and failure to review and update their plans over time. Reviewing and updating your estate plan is particularly important in light of the frequent changes that have characterized our estate tax law of late. Although the estate tax "coupon" (the amount you can pass estate tax-free) is $5 million for the next two years, the coupon is set to go down to $1 million in 2013, and the estate tax rates are set to go from 35% to 55% at that time. Another mistake that we see is failure to implement an estate plan by making sure all assets are properly titled. Many people create trusts but then do not make sure that title to their assets is transferred into their trusts. If you have questions, let’s get together and get them answered. My goal is to provide you with helpful information for creating, implementing, and updating your estate plan to serve your wishes. And our mutual goal will be creating an estate plan that will succeed when it is called upon to take you and your loved ones through life’s inevitable transitions. Another subject that I wanted to bring to your attention is a recently published book recommended by one of my colleagues. It helps with the starting points for getting and keeping good relationships. My goal as a legal counsel is to connect as well as to deliver good legal counsel. I thought you would find these “icebreakers” to be helpful suggestions. 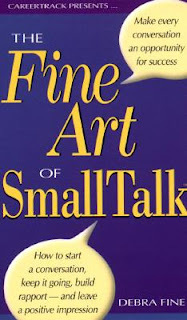 Debra Fine, author of The Fine Art of Small Talk offers a lot of helpful advice on networking and connecting with people while networking. In her book she includes a list of her top 10 icebreakers. She suggests using them at any occasion where you have few established relationships. We’ve all been at those types of events – school meetings, business events, fundraisers, cocktail parties, dinners, and conferences/conventions where you need to start a conversation with people you don’t know well or those “strangers” you would like to meet. 1. What is your connection to this event? 2. What keeps you busy outside of work? 3. Tell me about the organizations you are involved with. 4. How did you come up with this idea? 5. What got you interested in … ? 6. What do you attribute your success to? 7. Describe some of the challenges of your profession. 8. Describe your most important work experience …. 9. Bring me up to date. According to Fine, the theme to these ten icebreakers is that they are personal, but not too personal. “Your goal is to build a business relationship,” she says, “while still getting to know more about a customer or potential customer. If you are talking to an existing customer, they probably already know you are good at what you do, so you just want them to see you on a more human level.” Thinking about this –when you establish that comfortable connection on the human level, they are more likely to refer you to a friend or associate. The other thing to note about these icebreaker guidelines is that they give the new person control to decide just how much information they are willing to share and where they want to set the parameters of the conversation. On your part, your job is to help the other person feel comfortable with you as a person. You never want to overwhelm them with complex topics. You never want to slip into insider jargon. And you never want to put your audience on the spot regarding religion or politics. Many of our friends and acquaintances could be more effective using these 10 icebreakers, so I encourage you to forward this link to them. Let’s all communicate more effectively. And you are invited to contact me, so we can get better acquainted. Recently a fellow attorney in Indiana penned a thought provoking post on planning for your children’s education. I enjoyed it, and I share it below with you. The author is Chris Yugo writing a column for The Times in northwestern Indiana. 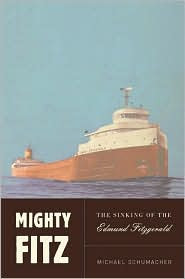 I just finished reading a book by Michael Schumacher called the "Mighty Fitz: The Sinking of the Edmund Fitzgerald." As the title implies, the book chronicles the story of the Edmund Fitzgerald, a huge ore caring vessel that sank in Lake Superior in 1975. Except for what I learned from the Gordon Lightfoot song, "The Wreck of the Edmund Fitzgerald," I really knew very little about the ship and its sinking. Although you might imagine that book about a shipwreck would end with the ship's sinking, the book actually picked up from there to discuss the investigation and how the families of the men who were lost came to terms with the tragedy. One thing that caught my attention was a section dealing with the children of the sailors. In particular, it discussed how Eugene "Red" O'Brien, a wheelsman, encouraged his son to attend college and get an education by establishing a trust for his education. According to his son John, "It made me stay in college because it was my job. I was getting paid. Here was my dad, a guy with limited education, working on the lakes. Yet he had the insight to do these things"
The book didn't go into too much detail about the terms but according to John, he received a monthly stipend as long as he remained in school. The great thing is each of you can do the same thing to encourage your children and grandchildren to attend school. Now some of you might be saying, "I'm having trouble just keeping the mortgage current. There is no way for me to establish a trust fund." In today's economic environment, I certainly understand that. However, you can still plan now without actually setting anything aside. You can set up a trust for your loved one's education within your will. 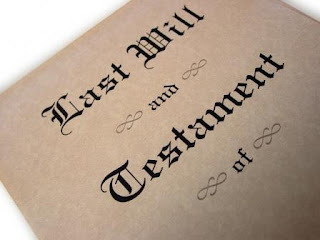 A trust established within a will is a testamentary trust. By using a testamentary trust, you don't have to fund it until your death. At that time, it can be funded with the savings account or the proceeds from the sale of the home or from life insurance or retirement accounts. If the funds are available at your death, the trust will fund. If the funds aren't available at your death, then the trust won't fund and you haven't lost anything. Since you create the trust, you can choose the terms. For example, you can restrict the funds to only be used to pay for tuition, fees and books or it can pay any legitimate educational expense including room and board and perhaps a living allowance. You can make the terms as restrictive or unrestrictive as you please. So be creative. I'm pretty sure Red didn't plan on being lost at sea. However, he did have the foresight to plan, which enabled his son to get an education. Even if you don't work the ore carriers on the Great Lakes, you should still have a plan. Please note: Opinions are solely the columnist's, and his information is meant to be general in nature. Specific legal, tax, or insurance questions should be referred to your attorney, accountant or estate-planning specialist. Remember, I am the attorney who is available to address specific issues related to planning for your children’s education and other estate planning matters. Please call me or post a request to meet in the COMMENT section of this blog post. One of their interesting points was that if you are working with an estate planning attorney, most likely the important areas are going to be properly addressed, including the impact of pending changes in estate taxes. 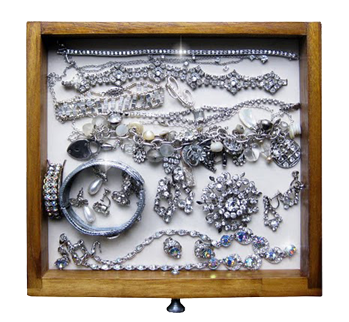 However, I’ve found that many people overlook making arrangements for their personal effects, including jewelry, art work and collectibles. They simply assume that their loved ones will be able to agree on how to divide it all up. In my experience, these things are what people argue over the most. Not long ago, there was a case involving two brothers who litigated for three years over the ‘stuff’ left in their mom’s house. They ended up spending over $50,000 on attorney’s fees fighting over items that were appraised for only $5,000. To avoid this happening in your family, draft a Memorandum of Understanding and attach it to your will. The Memorandum can be very simple, but it should also be very specific in detailing your wishes. Hold a family meeting to identify what your children want, and incorporate that into the memo. As your circumstances change and evolve over the years, your plans need to be kept current. Don’t forget about external factors such as tax law changes and fluctuations in the value of real estate. Few people sit down, annually, and take stock of their estates. But if you do, millions of dollars can be saved and much heartache can be avoided. If you have questions, let’s meet and talk. My goal is to provide you with helpful information for creating, implementing, and updating your estate plan to serve your wishes. And our mutual goal will be creating an estate plan that will succeed when it is called upon to take you and your loved ones through life’s inevitable transitions.